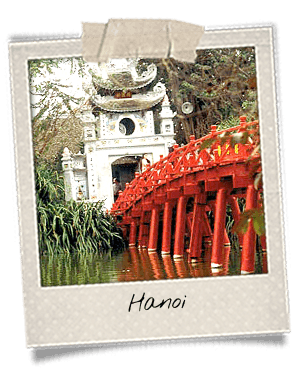 Your first encounter with Vietnam will take place in Hanoi, the capital, in the north. 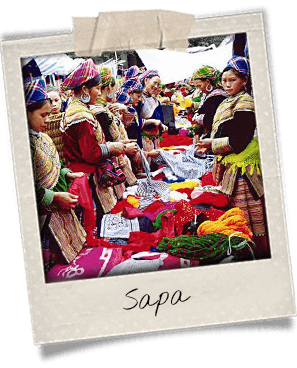 From there, you will go exploring the amazing region of Sapa, in the mountains. You will take an overnight train, a must-do, and discover the iconic terraced rice fields as well as the ethnic groups that live there. 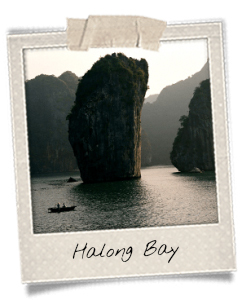 Then, change of setting: welcome to the worldwide famous Halong Bay, where it is nice to admire the sugarloaf shaped rocks emerging from the water. After a cruise and a night on board, you will then fly to Hue, the former imperial city of the Nguyens. You will visit the impressive monuments that are UNESCO-listed, such as the Citadel. The next stop of your trip will be Hoi An, a charming former harbor, whose ambient is absolutely unique in Vietnam. You will then head south, towards Saigon, the economical center, but also towards the Mekong Delta, the rice bowl of the country. You will get to see floating cities, markets and houses. During the course of your journey, you will experience many different things and you will meet many people that will definitely leave an unforgettable mark on your memory. 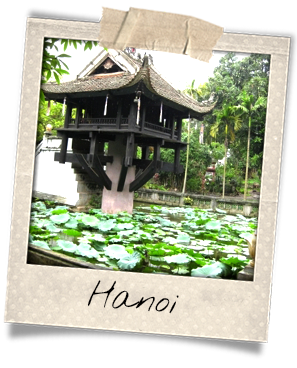 Arrival in Hanoi then transfer in a private care to the Old Town in the city-center. Visit the main attractions of the capital city: One-Pillar Pagoda, Literature Temple, Ho Chi Minh Mausoleum (outside) and Presidential Palace (outside). At lunch, you will get to try a famous local dish, cha ca la vong. It is a delicacy from Hanoi that contains grilled dill-savored fish, a type of herb that is not encountered often within Vietnamese cuisine. You will then have time to take a stroll around the Lake of the Returned Sword (Hoan Kiem Lake) and the 36 Streets (Old Town). Get a welcome dinner at the Co Yen Restaurant that combines northern Vietnam’s flavors and specialties in a setting that recalls the Old Town’s ambient. Aside from the city-center stands the Museum of Ethnology, opened by former French president Jacques Chirac in 1997. In that museum, you will discover artifacts, costumes and traditional houses of several of the ethnic groups in Vietnam. Take a walk in the garden and have a look inside the houses! They were built by members of minorities themselves. At lunch, enjoy one of Hanoi’s specialties, bun cha Ha Noi. It is made of rice vermicelli, grilled sliced pork and meatballs. It is served with salad and herbs as well as nuoc mam cham, the sweet fish sauce. Delicious! Dinner near the train station. 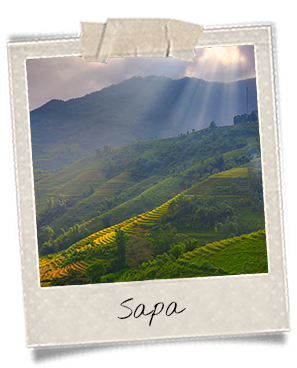 In the evening, take the overnight train to go to Sapa. An experience that you shouldn’t miss! Indeed, an highway was recently opened connecting Hanoi to Sapa. But what is the point of taking a bus when you can spend a night in a typical but yet comfortable Vietnamese overnight train? The trip will bring you to Lao Cai, the terminal station, from where you will be driven to Sapa. When you arrive in Sapa, you will have breakfast around the train station before getting on a hike in the mountains for two hours. You will discover beautiful views, made of typical and worldwide known terraced rice fields. You will reach Ta Phin Village where Black Hmongs and Red Daos live. Lunch at a homestay, with local dishes. In the afternoon, go on visiting the village and its surroundings before heading back to Sapa. Free time in the morning to visit the local market and the church. At the end of the day, you will be driven to Sapa station where you will take the train to go back to Hanoi. Dinner will be at your discretion and taken before boarding. You will arrive in Hanoi after an overnight in the train. You will have breakfast and get some rest in the train station area. Then you will hit the road to Halong, where you will hop on a boat and start a cruise in the wonderful bay and its amazing sugarloaf-like mountains. In the afternoon, you will explore caves, bathe in the water and go kayaking. You will get to plunge yourself in this very particular atmosphere that can only be found there. On the boat, wind down, relax and if you feel like it, fish squid. The sun is rising over the Halong Bay. Enjoy the view and softly wake up your body thanks to an introduction class to Tai Chi, an ancient Chinese tradition that consists in series of slow, focused movements combined to breathing exercises. Return to the jetty and journey in a private car to Hanoi’s airport to get the flight to Hue, in central Vietnam. Arrival in Hue in the evening. Overnight at the hotel. Journey length: 3.5 hours from Halong to Hanoi. 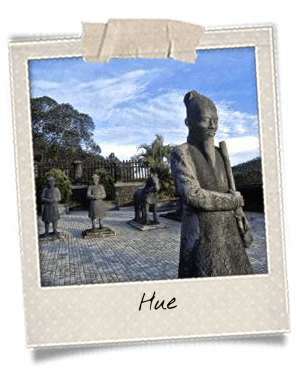 Until 1945, Hue was the capital city of the Nguyen Dynasty emperors that used to rule Vietnam. Largely bombed during the Indochina Wars, the city still comprises remnants of its former grandeur. You may visit several ensembles through which the Perfume River winds: the Citadel, the Forbidden City and the Imperial City, all UNESCO-listed. In the middle of the morning, you will take a private car to Hoi An. 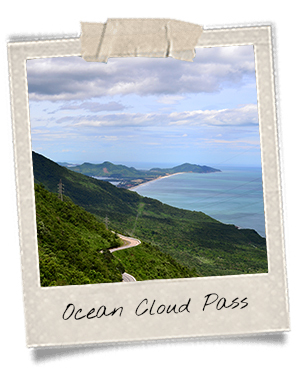 The route goes by the Ocean Cloud Pass, also called Hai Van Pass in Vietnamese, that follows the coast and the mountains, offering gorgeous vistas. You will swing by Lang Co Beach, a long and lonely white-sand paradise. Arrived in Hoi An around 1 pm, you will try a local specialty called cao lau. Cao lau is impossible to find someplace else! It contains thick noodles, braised pork, herbs and croutons. According to the legend, the noodles that are used in that dish are only boiled in water coming from the Ba Le Well in Hoi An, which is mixed with a certain kind of ashes, resulting in an alkaline liquid. Only a few families in Hoi An know the recipe of cao lau. Thus, it is a must-try! After lunch, walk around the Old Town and admire the architecture. 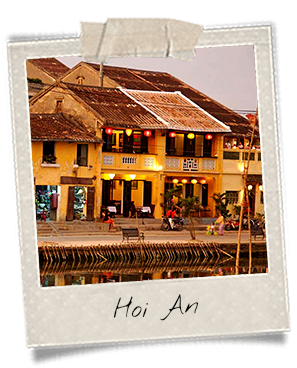 Hoi An was influenced by many foreign cultures in the past since it used to be a main harbor in Southeast Asia. You will notice that when you’ll cross the river on the Japanese Bridge, or when you’ll visit colonial villas and Chinese mansions. 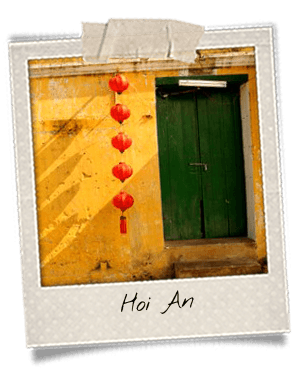 At dark, Hoi An turns into a very poetic place, decorated with thousands of lanterns. You may want to buy one and let it swing on the river. Journey length: 3.5 hours to Hoi An. That morning will be dedicated to cooking! You will go to the city’s local market to buy ingredients where you may talk to vendors. Then you will meet a local family who will show you how they live on daily basis. They will also help you out with the prepping of lunch. In the afternoon, hop on a cruise on the Cua Dai River. You will wind through Bay Mau’s coconut forest. Then you will change boat and get on a circular one to try your abilities in crab fishing. Free-time day. You may want to go back to the Old Town, along the Perfume River or go down to Cua Dai beach. It is located only 4 kilometers away from the city-center. Free time and rest in the morning. Lunch at your discretion. A private car will drive you to Danang airport to get the flight to Saigon. 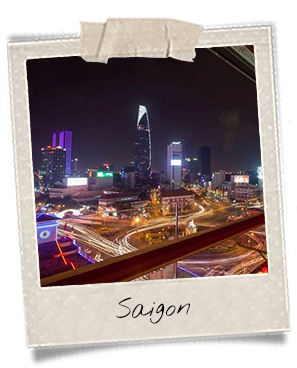 Once arrived in Saigon, you will meet the driver who will bring you to the city center. Check-in at the hotel. 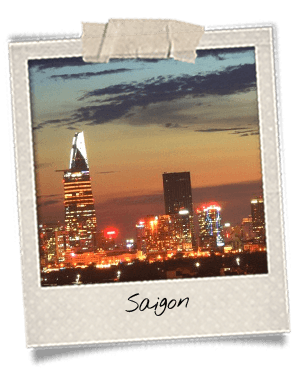 Option: Saigon by Night motorbike tour! 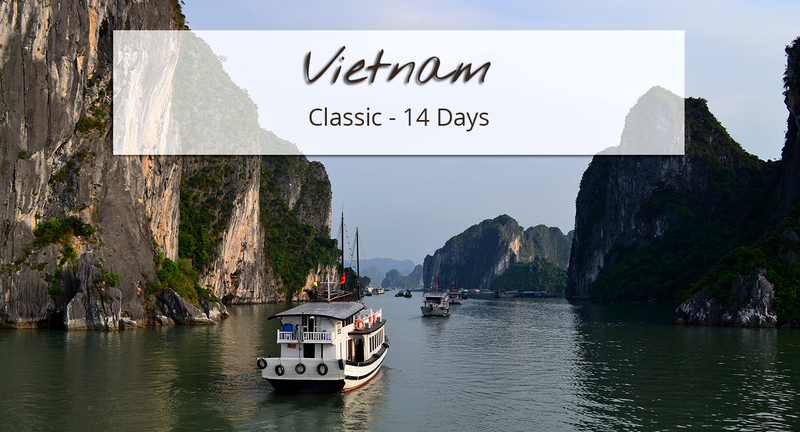 You will be driven to one of the most iconic regions in Vietnam, the Mekong Delta. 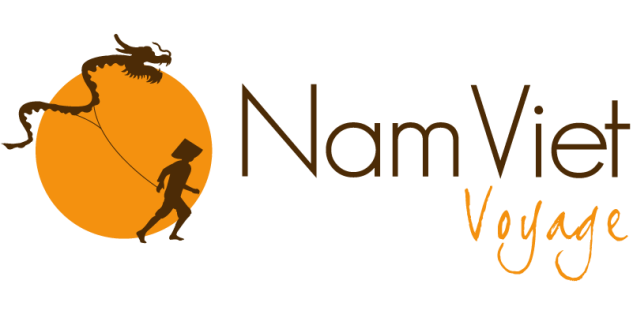 You will go Cai Be where you will hop on a boat to discover local life in the delta, namely some handicrafts such as coconut candies, rice paper and honey. Lunch will be taken in a traditional house and will comprise local specialties. You will then continue the boat tour along the arms of the river. You will get to try local fruits which are plenty in this very fertile area. You will attend a short Vietnamese music show and visit fruit gardens that are numerous in the Mekong Delta. 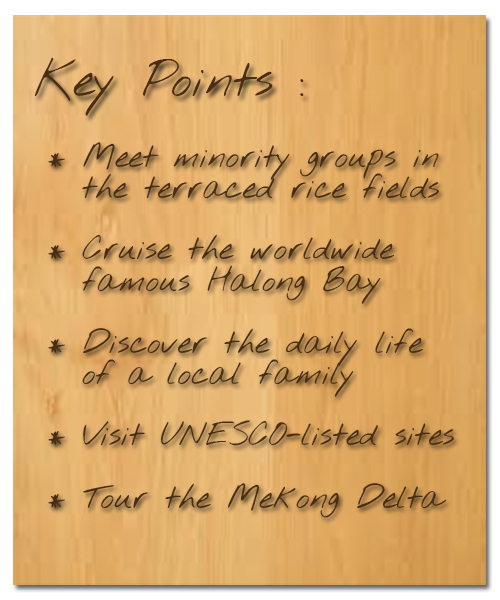 At the end of the cruise, you will go to Can Tho, which is the biggest city in the Mekong Delta. It is the economic, political and education center of the region. This is where the Indochinese house Binh Thuy is located. Some scenes of Jean-Jacques Annaud’s The Lover were filmed there. 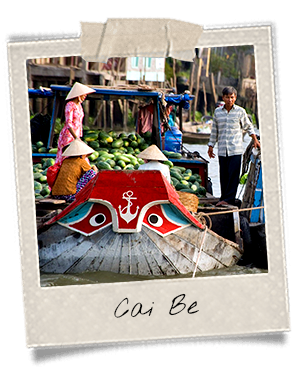 In the morning, you will embark on a boat that will bring you to Cai Rang floating market, the biggest floating market in the Mekong Delta. It opens around 5 in the morning and closes around midday. It is situated 6 kilometers away from Can Tho; the connection between both takes 30 minutes by boat. Once there, you will get to watch how trade is done in the delta. Colors, odors and savors will be all over the place. 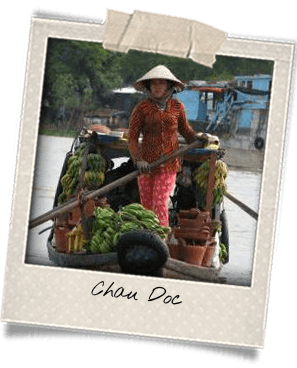 After touring the market, you will head to Chau Doc, a small city close to the Cambodian border. You will have lunch in a local restaurant. In the afternoon, you will visit Tra Su, a park that comprises an alluvial forest but also a bird reserve. The boat will guide you through cajuput trees and water lentils. You will leave in the morning to reach Saigon. Lunch in a typical restaurant on the way there. 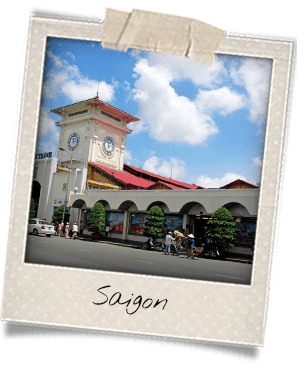 Once arrived in Saigon, you will check-in at the hotel. In the evening, you will attend one of the most famous shows in Vietnam, the AO Show (depending on schedule), an amazing combination of Vietnamese circus, dance and music. Journey length: 6 hours from Chau Doc to Saigon. You may want to spend the morning touring Saigon’s city center and its colonial architecture: Notre-Dame Cathedral, the Main Post Office whose roof was designed by the French engineer Gustave Eiffel, the Opera House (from the outside), Dong Khoi Street that used to be called Catinat Street, and the Reunification Palace. At lunch, try a Vietnamese dish called banh xeo. It consists of a rice-flour pancake mixed with curcuma and stuffed with sliced pork meat, shrimps and mung beans. It is served with nuoc mam sauce (fish sauce).